Before placing an order, please read the following disclaimers and information. If you have any questions prior to your order, please feel free to contact us. If the customer moves, changes phone numbers, e-mail addresses, etc. it is their responsibility to let me know. Several attempts at contacting the customer will be made when an order arrives, but if contact cannot be made within 60 days, the deposit is forfeited. Neither Champion Custom Bowstrings, Chek-Mate Archery, nor anyone affiliated with these companies accepts any responsibility for injuries or damages due to misuse, carelessness, or any situation beyond their control. Typographical errors will not be honored and are the responsibility of the purchaser. THIS SITE AND THE PRODUCTS ON IT ARE PROVIDED BY CHAMPION CUSTOM BOWSTRINGS ON AN "AS IS" AND "AS AVAILABLE" BASIS. CHAMPION CUSTOM BOWSTRINGS MAKES NO REPRESENTATIONS OR WARRANTIES OF ANY KIND, EXPRESS OR IMPLIED, AS TO THE OPERATION OF OUR SERVICES, THIS SITE OR THE INFORMATION, CONTENT, MATERIALS OR PRODUCTS INCLUDED ON THIS SITE. YOU EXPRESSLY AGREE THAT YOUR USE OF OUR PRODUCTS, INFORMATION, AND THIS SITE IS AT YOUR SOLE RISK. TO THE FULL EXTENT PERMISSIBLE BY APPLICABLE LAW, CHAMPION CUSTOM BOWSTRINGS DISCLAIMS ALL WARRANTIES, EXPRESS OR IMPLIED, INCLUDING, BUT NOT LIMITED TO, IMPLIED WARRANTIES OF MERCHANTABILITY FOR A PARTICULAR PURPOSE. CHAMPION CUSTOM BOWSTRINGS DOES NOT WARRANT THAT THIS SITE, ITS SERVERS OR E-MAIL SENT FROM RECURVES.COM ARE FREE OF VIRUSES OR OTHER HARMFUL COMPONENTS. CHAMPION CUSTOM BOWSTRINGS WILL NOT BE LIABLE FOR ANY DAMAGES OF ANY KIND ARISING FROM THE USE OF OUR PRODUCTS AND SERVICES OR THIS SITE, INCLUDING, BUT NOT LIMITED TO, DIRECT, INDIRECT, INCIDENTAL, PUNITIVE AND CONSEQUENTIAL DAMAGES. CERTAIN STATE LAWS DO NOT ALLOW LIMITATIONS ON IMPLIED WARRANTIES OR THE EXCLUSION OR LIMITATION OF CERTAIN DAMAGES. IF THESE LAWS APPLY TO YOU, SOME OR ALL OF THE ABOVE DISCLAIMERS, EXCLUSIONS OR LIMITATIONS MAY NOT APPLY TO YOU, AND YOU MIGHT HAVE ADDITIONAL RIGHTS. Parties other than Champion Custom Bowstrings provide services or sell product lines on this website. We are not responsible for examining or evaluating these products, and we do not assume liability for the offerings of any of these businesses or individuals or the content of their web sites. Champion Custom Bowstrings does not assume any responsibility or liability for the actions, product and content of all these and any other third parties websites. You should carefully review their privacy statements and other conditions of use prior to purchasing their products. 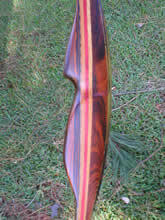 By visiting Recurves.com, you agree that the laws of the state of Missouri, without regard to principles of conflict of laws, will govern these Conditions of Use and any dispute of any sort that might arise between you and Champion Custom Bowstrings or its affiliates. 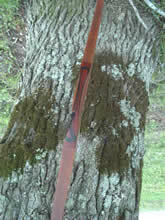 Any dispute relating in any way to your visit to Recurves.com shall be submitted to confidential arbitration in Fulton, MS, except that, to the extent you have in any manner violated or threatened to violate Champion Custom Bowstrings intellectual property rights, Champion Custom Bowstrings may seek injunctive or other appropriate relief in any state or federal court in the state of Missouri, and you consent to exclusive jurisdiction and venue in such courts. Arbitration under this agreement shall be conducted under the rules then prevailing of the American Arbitration Association. The arbitrator's award shall be binding and may be entered as a judgment in any court of competent jurisdiction. To the fullest extent permitted by applicable law, no arbitration under this Agreement shall be joined to an arbitration involving any other party subject to this Agreement, whether through class arbitration proceedings or otherwise. Please review all policies posted on this site. These policies govern your visit to Recurves.com. We reserve the right to make changes to our site, policies and these Conditions of Use at any time. If any of these conditions shall be deemed invalid, void or for any reason unenforceable, that condition shall be deemed severable and shall not affect the validity and enforceability of any remaining condition.